My two oldest children are about to embark on a new adventure: the first apartment. Ahhh, the excitement of having your first “adult” place. My daughter will be graduating from Ohio University in a couple of weeks and has lived in the dorms her entire college career. (She was an RA the last 2.5 years which made her room and board virtually free.) So, her apartment will be her first 100% “grown up” place with a “grown up” job. My older son, on the other hand, is finishing up his 2nd year in the dorms and can’t wait to get into an apartment. He and his current roommate will be moving out of the dorms and into an apartment the beginning of May (their lease is a 12 month-er that runs from May – April). He is super pumped to be living in his first “college pad”. So this is a very exciting time for both of them. As you all know I have been cooking up a storm using my 6 favorite spices. This got me to thinking. What if I put together a “spicy” apartment warming gift for each of them? I am thinking about a starter spice set along with some information about using spices. 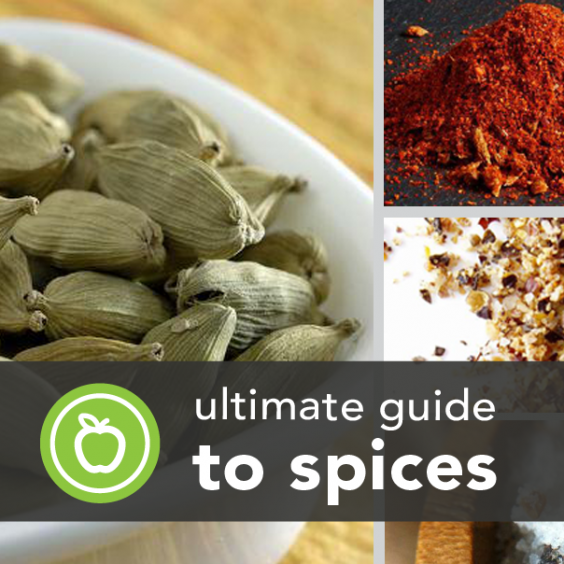 I first looked around Pinterest and found the following sites which list a lot of great information about using spices. Then, I did a google search to help me determine what herbs and spices I should include in their starter sets. For all the cumin and cinnamon lovers out there, did you notice that these two spices made every list? I know what you’re saying, “Yea, I have good taste. I’m cool like that! ” ???? With all this information, it’s now time to put my sets together. I’m still deciding how I will do this but trust me, I will come up with something. And of course, I’ll post my sets once they are finished. One thing I am sure of is I will be purchasing my spices from My Spice Sage (my all time favorite on-line spice store). Also, while I’m working on this, don’t forget to be working on your recipes using one or more of the following: cumin, chipotle, cinnamon, garlic, oregano, and cardamom….because in 8 days, my birthday party starts! I think it depends a lot on their food tastes – I make a lot of curries from scratch so I tend to have spices like turmeric, coriander, cumin, coriander and ginger (when i’m not using ginger root) to chili and curry powder. I think for all round spices you can’t go wrong with paprika, garlic powder (great for making home made garlic bread) and cinnamon. They’re probably going to want to try to cook all the lovely meals you have prepared for them over the years Marilyn. I reckon if all else fails and they’re low on cash, you can’t go past good old salt and pepper. But basil, oregano, cumin, chilli, cinnamon and nutmeg would be my absolute essentials.